Imagine a world where water is so scarce that private toilets are banned, where the government is in the pocket of one evil corporation, and where breaking the rules leads to one place – Urinetown. Poor, downtrodden and desperate (literally), the people's only hope lies in one man and a revolution to free them from this tyranny. 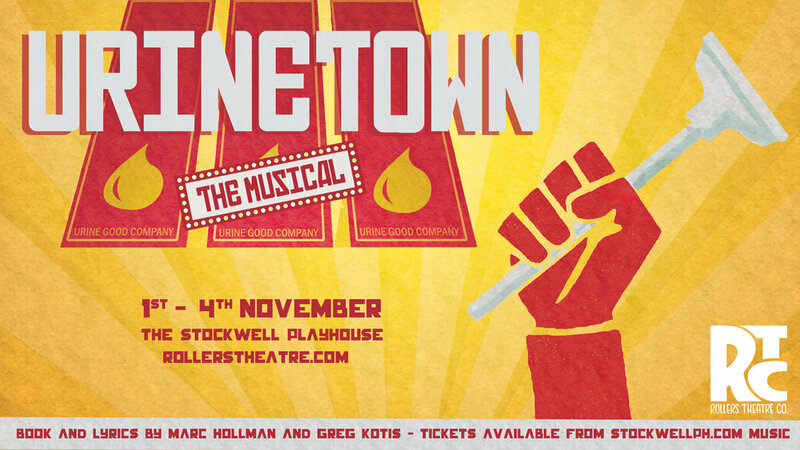 ROLLERS THEATRE COMPANY, are delighted to present Tony Award-winning Urinetown: a hilarious satire of bureaucracy, big business and musical theatre itself. Packed with witty dialogue and catchy musical numbers, by definition this is the number one show in town. If we haven't ruined it with the title. Performed at the Stockwell Playhouse, from 1st - 4th November 2017. Tickets are priced at £15, and can be purchased directly from Stockwell Playhouse.